I am dogsitting. The following photograph accurately summarizes this experience. But this is not a post about dog behavior. Matilda likes the idea of walks but not the experience of them. I have made peace with her cognitive dissonance. 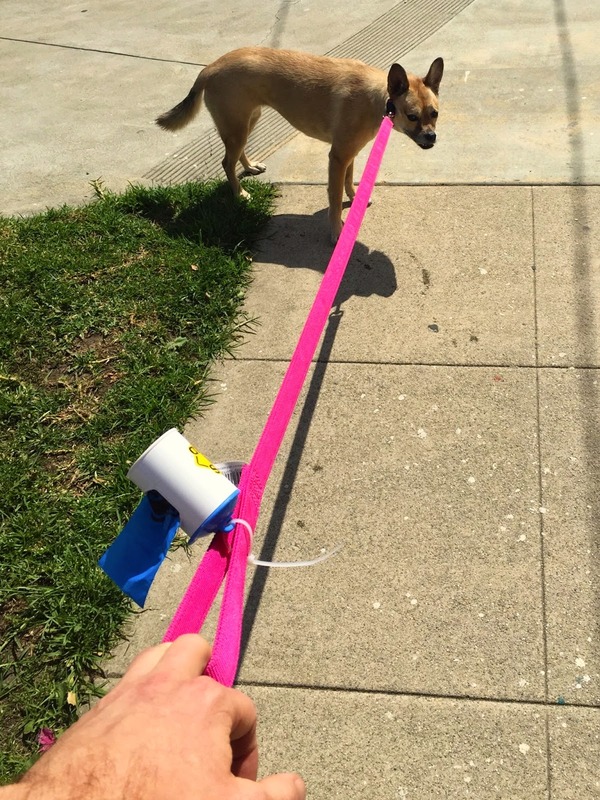 This is a post about that damned hot pink leash. Did I mention that my fingernails are also stained purple? They are. There was an incident yesterday that involved some black dye that turned out to be somewhere more between eggplant and plum. 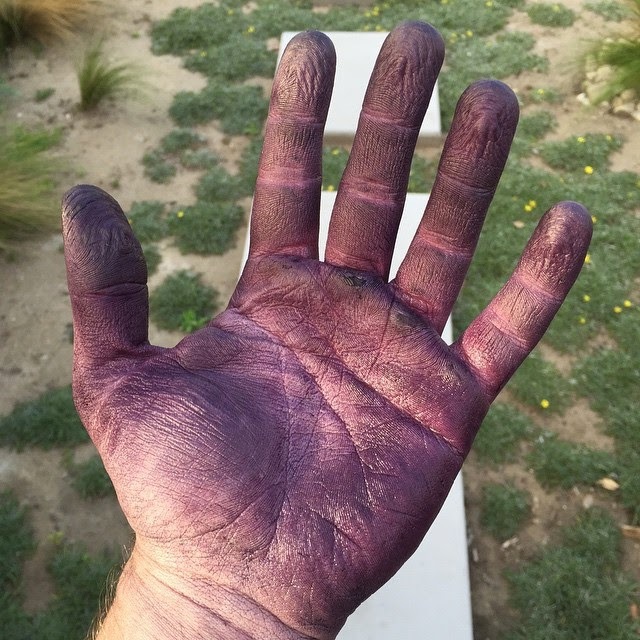 Here is how my hands looked yesterday. And here is how they look today, post-scrubbing. I think they look like I just emerged from a goth phase. It is probably not especially noticeable, but I sure keep noticing it. So while I would like to think that I am secure enough with my masculinity and sexuality and penility that I can comfortably walk a dog on a hot pink leash, I apparently have a ways to go. Matilda’s leash, it must be said, perfectly matches the blooming bougainvillea. She seems comfortable with that. This I can get behind no problem. BTW, should it interest you, there is a previous Matilda adventure.